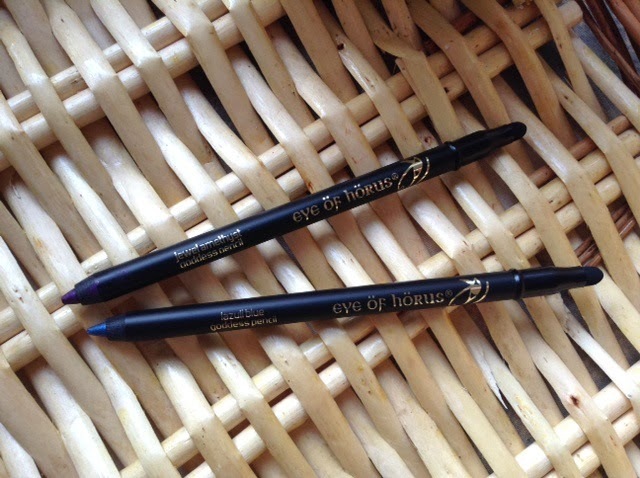 I recently received these eye öf hörus eye pencils from their 'goddess' range. These 2 stunning shades are brand new and will be available to buy next month! 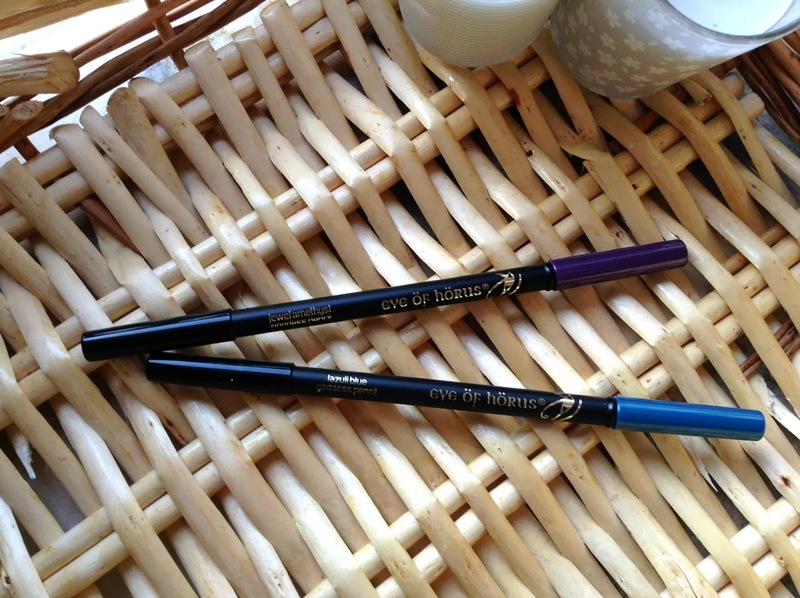 These eye pencils literally glide onto the waterline and their dreamy creamy formulas make it easy to smudge and blend to your hearts content. 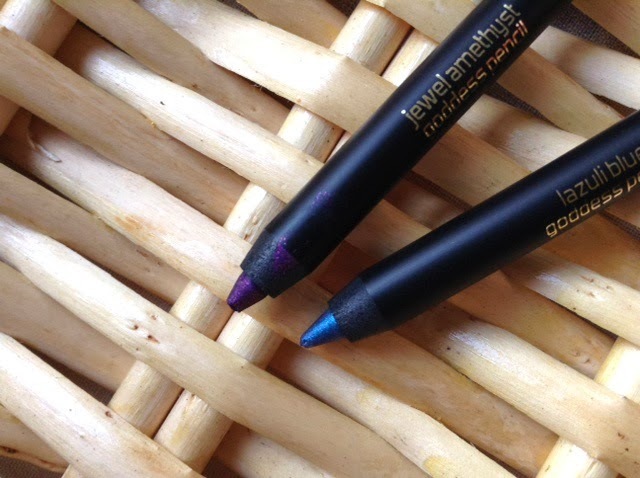 They can be combined to enhance your eyeshadow or can also be used as eyeshadows themselves when smudged using the opposite end's applicator. I was really frustrated when photographing these swatches as the lighting wasn't showing the true colour of the lazuli blue which is actually electric blue rather than that greyish looking shade. These have tiny specs of glitter throughout with a metallic sheen, your eyes will truly pop on any night out. 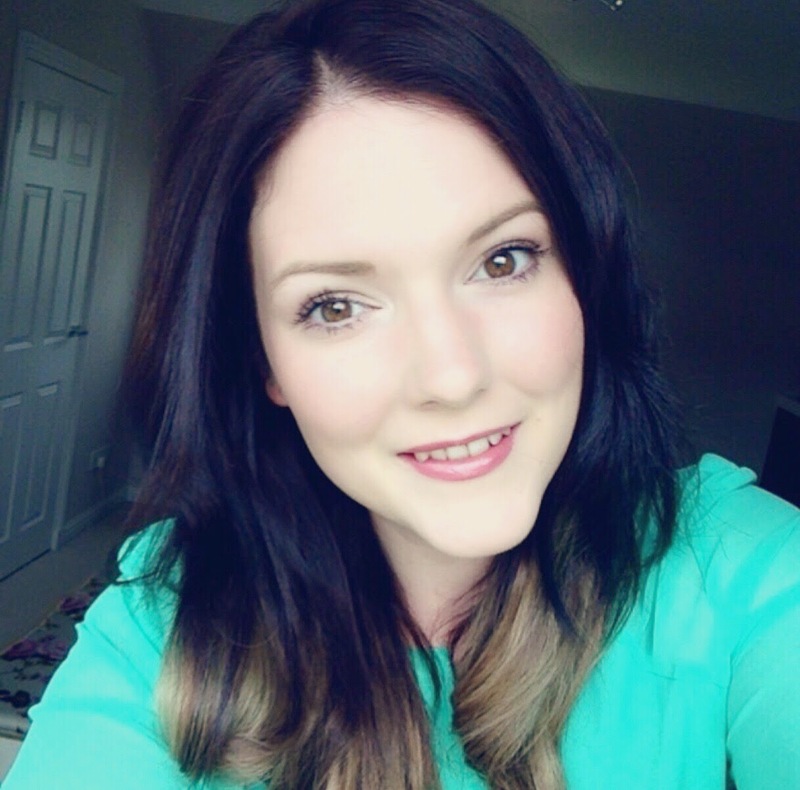 They are both absolutely beautiful and will be available to buy from Cocktail Cosmetics very soon so keep your eyes peeled! These are lovely. 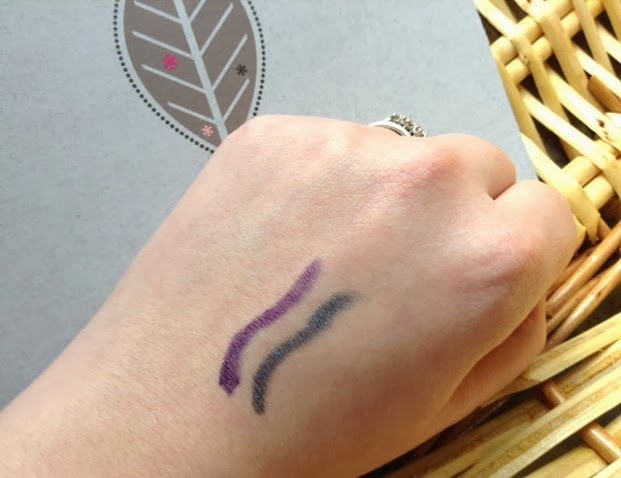 I have a couple of liners that are similar colours, this has made me want to try them out a bit more instead of the usual brown and black. These are gorgeous shades! I haven't heard much about the brand before.